Took the subway today…just to see if I could do it. It’s not that hard if you’ve got all the time in the world. Also if you stand around looking perplexed someone will come and help you. Every time I stopped and looked at a map today someone asked me if I needed help within about a minute. Anyway, the subway ticket machines have an English button, but not all have the handy-dandy fare calculator. 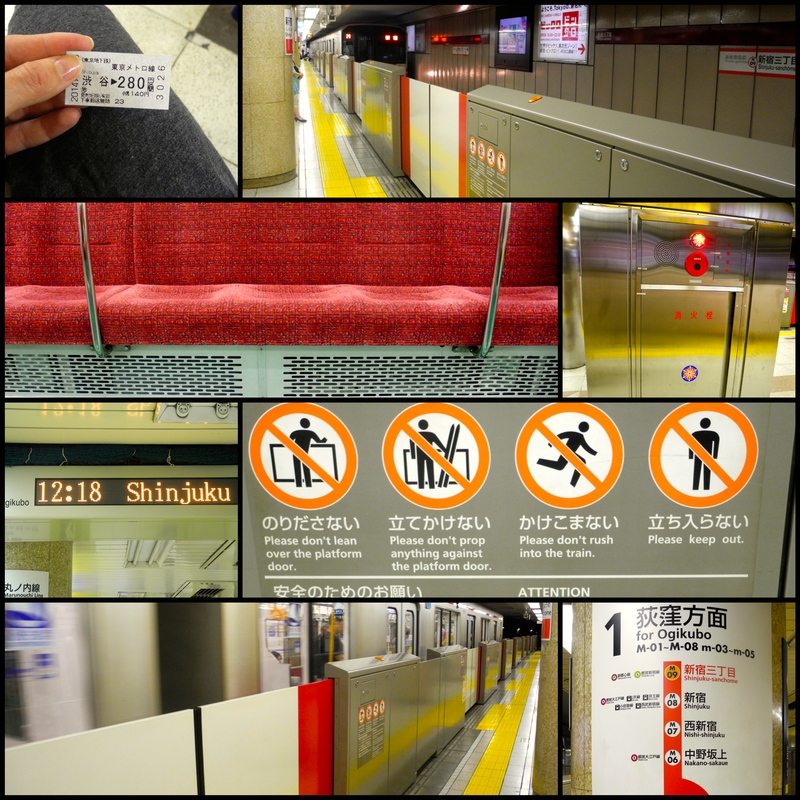 So I overpaid to get to Shinjuku…should have only been 170Y. Live and learn. I also figured out that I don’t have to transfer…I can get off at Shinjuku sanchome instead of transferring as that gets me to the ‘fun’ side where the cool shopping and the English bookstore (Kinokuniya) are located. The subway does have announcements and signs in English though there are still many things I don’t understand. Like the stainless steel box with the flashing red light. And why some trains don’t stop at all the stations and how do you know which ones? There’s WAY more English than there used to be though…but I still have a chance to practice reading hiragana (more on that later).